There are many bars that go out of business each year. This is because the market for new bars is a challenging one. If you are in an area that has new bars opening all the time and a clientele who is always seeking the latest thrill, you need to work extra hard to ensure that your establishment stays exciting enough. There are many small details that can mean the difference between a bar that is merely surviving and one that is prospering beautifully. In this chapter, you will learn the small details that can push your success higher than ever. Not all of these tips are expensive. Many take only ingenuity and some effort, but the results can be spectacular! Research the competition. Take the time to sit in every competing bar. After you order your drink, take notes: Who frequents these bars? Older patrons? Younger patrons? Yuppies? Tradespeople? What sort of bar is it? How much do they charge? What does the bar look like? What are the drinks and food offered? What are the promotions? What kind of entertainment is offered? How busy are they and on which night are they busiest? What are they doing wrong? What are they doing right? Service. If your bar is known as the friendliest bar in town while your competitors tend to slack on service, you will make a profit. If your competition is already offering great service, you have to make your service stellar in order to compete. Focus on what the competition is doing wrong. If you notice something that the competition is doing wrong, make sure that your bar is doing that same thing right. It will encourage patrons to see your bar as the local establishment that offers more. Set your hours to take advantage of times when your competition is not available. 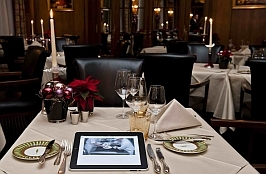 If the competition stops food service early, think about extending your food service hours. Being able to provide something that the competition cannot or is not willing to provide is a great way to make sure that you lure in new regulars. Do you know what the local patrons want? If you do not ask them and conduct regular market research, you have little hope of knowing the very things that will draw patrons to your bar. Look at the bars that are succeeding elsewhere. What works in other cities and towns may work in yours. Pay special attention to the types of bars that are doing well in areas similar to your own (in towns or cities with the same demographics). These bars may have hit on an idea that may work well in your area as well. Special promotions. Avoid using your best ideas and resources trying to compete on someone else's strongest night. 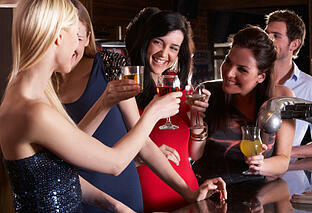 Offer special promotions and discounts on nights when other bars are not offering anything. It will help lure in customers looking for something great on a slower night. Remember, if you can offer something special, you are more likely to get more customers. It pays to make the extra effort to find out what is needed in your area—and then supply that need. Customers will flock to you. Industry studies have consistently shown that a full 25% to 30% of a bar's liquor inventory never converts into registered sales. That is the equivalent of about six to eight 1.25 oz portions per bottle (which should yield at least 25 portions.) This loss of liquor volume--due to unauthorized comps, over-pouring, spillage or theft--should be of great concern to any bar manager. While losing 25% of a $25 bottle may not seem like a very serious problem--an unavoidable cost of doing business--the true cost is much greater than that $6 or $7 per bottle. The question you need to ask yourself is: Where is this lost liquor going? And how is it affecting sales? For instance, if your bartender is not pouring 1.25 oz portions, but is instead pouring 2 oz portions (say, perhaps, to curry favor with clients and receive a bigger tip), you're not just losing liquor volume, you're also losing potential sales. Where the customer may have been disposed to buy three drinks (3.75 ounces), he may now be content to buy just two 2-ounce drinks. Your bartender's actions, in this case, haven't merely cost you a dollar's worth of liquor, they may well have cost you $6-$8 in lost sales revenue (depending on how you price your drinks). And that's just for one customer buying two drinks. How often is this occurring? What if your bartender also happens to be giving away free drinks without your knowledge or authorization? The point is: "shrinkage" does not only affect supply costs, it can also affect revenues in a big way. That's why loss prevention is so important. The profitability of your business depends on whole bunch of variables--the location of your establishment, the overall economy, ever-changing customer tastes.... Achieving profit growth can be difficult and can rarely be accomplished overnight. Increasing the price of your drinks is risky, and can prove more harmful than helpful as far as your bottom line is concerned. And growing your clientele usually takes time. The best way to increase profits in the short-term, therefore, is not to try to fiddle with pricing or to increase your client base. (Of course, this is something you should always be doing. But it is not easy to do in the short-term.) The quickest way to increase revenue is to make the most of the clients you're already serving. And one way to do this is to improve operations by getting tighter grip on your inventory. Loss of liquor supply at double-digit levels is not an "unavoidable cost of doing business". It is "bad business". And it is entirely avoidable. Put simply, loss prevention can pay big dividends. What's more, it can be achieved quite quickly through the implementation of a quality liquor inventory control system. Many of the best bartenders learn most of their useful trade while at work. This is because bartending schools vary widely in quality. Some emphasize the preparation of rarely requested drinks without stressing useful skills such as bar management, customer satisfaction, and customer safety. If you are hiring a bartender, you should consider the school he or she has attended, but testing practical skills will give the best clue of how many useful skills the person has for waiting on your bar. If you are considering attending a bartending school, investigate the school to make sure that you will be taught skills such as organization and techniques of serving. 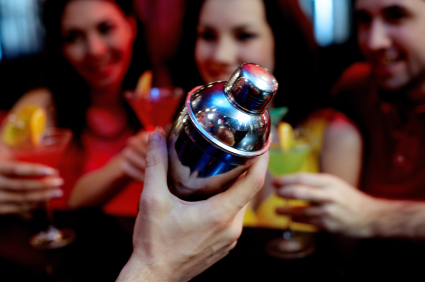 A good bartending school or course will emphasize dealing with customers. Be wary of a bartending school that is more of a "drink mix" school, stressing mixing many types of drinks without teaching anything besides drink preparation. There are many of these sorts of schools out there, which claim that a bartender's greatest asset is knowing how to mix an endless variety of drinks. Learning to mix the latest drink is relatively simple once one looks up the recipe, and most patrons will order the most popular drink of the moment rather than some obscure mix. A bartender with a good grasp of people and basic bartending techniques is usually more useful than the bartender who only knows how to mix hundreds of drinks from memory but has few skills besides. In some cases, an employee with a hospitality degree is better able to handle the bar job than someone who has attended a bartender school. You still need to train your employees to ensure that they understand what you want them to do. In cases where an employee has worked at another establishment for a while, you may actually need to provide additional training to allow the employee to get used to the way you want things done versus how they did things at their previous job. Many bar managers mistakenly believe that hiring young female servers will help ensure a high customer loyalty. This is based on the belief that middle-aged men are the main patrons of bars, which is no longer the case. When hiring servers or other staff, you should consider experience and skill over age or physical appearance. 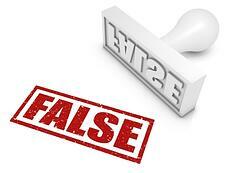 In most states, hiring based on age or appearance is discriminatory and can lead to lawsuits. Bar managers want the customer to be happy enough to return and satisfied enough to recommend the establishment to others. It is never wise to argue with a customer, and if the difference of opinion is something quite small, it is better to humor the customer in order to avoid making him or her feel embarrassed. On the other hand, if the customer insists that he or she is not intoxicated and can drink more, for example, then they should be refused further drinks. Security does add a certain peace of mind, but at many establishments, it is still the bartender who acts primarily as the security force of the bar. Where your security comes from depends on your location and bar. If you decide you do not need a separate security staff, however, make sure that the bartender or some other personnel are willing to help customers in case of an incident. While quality drinks are a key to bar success, many people go to bars to spend time with others. If you serve good drinks but offer exceptional atmosphere and service, you are likely to do well. In today's competitive world, great drinks alone are not enough. Bar managers need to have good financial planning and careful advertising and marketing and offer great customer service in order to be a success. Reducing costs or cutting corners (reducing the size of drinks or firing staff) is unlikely to help. Customers expect more from bars than ever before. Offering them less is unlikely to bring you the results you want. If you are just starting out, it may take months to see a profit. If you have been in business for a while, increasing customers and getting more from each customer by encouraging spending and lingering are far better strategies than downsizing in order to make a profit. Many bar managers think that in order to make a large profit, they need to dabble in everything. For this reason, many bars spend large amounts of money setting up dance floors, live acts, larger establishments, and restaurants. When you are just starting out, though, it is often best to keep things simple. Do not expand randomly, assuming that spending more money will bring in more money. Only expand after careful research and weighing the potential risks and benefits. You do not want to get into debt for a venture that is unlikely to work for your bar. Cost per ounce. This is the basic unit cost of a drink. For example, to calculate the cost per ounce of a liter bottle, divide the wholesale cost of the bottle by 33.8 ounces, or in the case of a 750ml bottle, by 25.4 ounces. The figure you arrive at is the cost per ounce. Cost per portion. To be able to price a certain drink, you must first calculate the base cost of the serving. Use the cost per ounce to work out the cost per portion. For example, if the cost per ounce is $0.60 and the recipe requires 1.5 ounces, then the portion cost is $0.90. Cost percentage. Master this formula. You cannot function without it! To calculate the cost percentage of an item, divide the product's cost (or portion's cost) by its sale price and then multiply by 100. This simple calculation gives you the cost percentage. Profitability hangs on this key calculation. This calculation is the most frequently used formula in the beverage industry. It indicates the profit margin of any drink and represents the difference between the cost of the item and the price for which it is sold. If cost percentage increases, profit margins decrease..
You know the theory: to obtain the cost per ounce, you must divide the cost of the bottle by the number of ounces in the bottle. Fine, so far. But sometimes, in practice, the final sales volumes and profits can seem disappointing. You're confused because you have done everything by the book, and now, somehow, the figures don't quite add up. Get wise. Consider evaporation and spillage. When calculating a bottle's cost per ounce, the secret is to deduct an ounce or two up front, before dividing, to allow for evaporation or spillage. 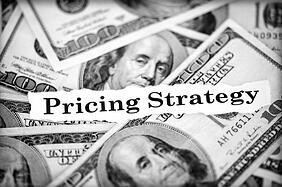 Although this will slightly increase the cost per ounce, it will also give you a more realistic starting point. Calculation errors. Slight variations can easily creep into a calculation involving both liters and ounces. For example, assume a highball contains 1-1/2 ounces of spirit (or 45ml): using ounces, a liter bottle yields 22.54 measures, whereas, using milliliters, the bottle gives 22.22 measures. Tip: "round down" in the interests of reality. Maximize potential yield. You know that a bottle of liquor yields so many measures at a certain cost. However, you also know that sloppy pouring methods can wipe out potential profits. The best way to overcome this problem is to standardize portion serving as much as possible. You've paid for the liquor and want maximum returns. Buy big. High-turnover liquor, wines and spirits should always be purchased in larger bottles for better yield per measure. There is no better indicator of a business's success than its gross profit figure. By definition, gross profit is the cash difference between an item or portion cost and its sales price. All attempts to reduce costs should focus on this gross profit figure. Get to grips with how to figure out some important calculations related to gross profits. Gross profit. To calculate a drink's gross profit, simply subtract its portion cost from its sale price. Gross profit margin. 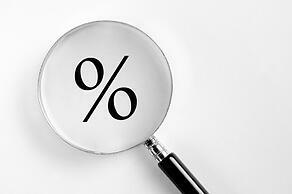 This figure represents the percentage amount of profit made by the sale. Divide the amount of profit by the sales price and then multiply by 100. The result is the gross profit margin. Sales percentage profits. To calculate the selling price (based on the required gross profit margin), divide the portion cost by the gross profit margin percentage "reciprocal," i.e., the figure you get from subtracting the target gross margin from 100. Cost multiplier. This calculation is often used in the beverage industry to figure out the target selling price for a drink based on its portion cost. Divide the cost percentage you require by 100 and then multiply the result by the portion cost of the product. Mixed-drink prime ingredient costing. A calculation used to determine the target sales price for a mixed drink that has only one main ingredient, such as gin and tonic or scotch on the rocks. All you have to do is divide the drink's portion cost by the target cost percentage. Layout. Will your staff need to make a long trip, past waiting customers, to get to your drinks server? Placing the service area off to the side of the bar might seem like a good plan when the bar is empty, but when it's full, a drinks server who has to yell to be heard is a disgruntled drinks server - and a frequently delayed one. Drinks station.Is everything the bartender needs to prepare drinks positioned within six feet (a step and a reach) from a drink preparation area? If it isn't, you're only adding waiting time, opportunity for spillage and even waste to the drinks serving process. How far do your drinks servers have to travel to reach your customers? Do you seriously expect your server to negotiate a heavy crowd with 12 drinks on his or her tray and not encounter spillage? Clear the way. Improve not just your server's efficiency but also customer traffic flow. Service bar communication. If you have a bartender or bar devoted purely to drinks service, consider providing your servers with radio headsets that will allow them to communicate a drinks order to the bar from the floor. This simple move can save your servers from making literally hundreds of trips across the floor a night and can slash service times considerably. Never, ever, use glasses as ice scoops. A tiny chip of glass falling into your ice bin can cause a great deal of injury, and bar glassware certainly isn't designed to shovel rocks of ice. Along the same lines, any time a glass breaks in or near an ice bin, the entire ice bin needs to be emptied and the contents disposed of before it can be used in the preparation of another drink. Staff should never touch the upper half of a glass in the act of serving a drink. It's un­hygienic; it looks terrible to the customer; and the glass will be much more susceptible to breakage if it's being handled regularly in this manner. Stemmed glasses. They're far more susceptible to breakage than most other types of glasses - not to mention usually more expensive. Make sure that all staff take extra care in the handling of these items, perhaps even to the point of washing them by hand. Inspect. All glasses need to be inspected, if only briefly, before they're used in a drink order. A lipstick smudge, chip, crack or remnants of a previous drink are not only off-putting to a customer, but they're also hazardous to the customer's health. Simplicity over pretention. While bars that employ top-notch mixologists offering creative drinks will continue to attract more and more customers, you can also expect a trend towards simplicity. As David Wondrich put it in Nation’s Restaurant News, “The biggest trend I see is bringing mixology down to the fun/dive-bar level.” Expect to find well-made, “sophisticated” drinks in friendlier, “less sophisticated” surroundings. Live music and entertainment. Live acts are in. More and more bar patrons are looking to be entertained while they enjoy a drink or a bite. While live entertainment has always been a good way to drive traffic to your store, drinkers and diners—particularly the over thirty crowd—are starting to look for it more and more. Thanks to the Internet, booking these acts—whether a local band, a jazz singer or comedian--is easier than ever before. What’s more, social media sites like Facebook and Myspace allow you to gauge the kind of following these acts have, giving you some idea of the level of traffic you might expect. Bottle Service. With economic recovery on the horizon, expect bottle service to once again gain popularity. While it never really went away—at least not in the VIP lounges of the latest hotspots—bottle-service popularity did wane a bit during the recent economic meltdown. Look for a comeback. “Daylife”. Daylife has begun to rival nightlife in bars and clubs across the country, especially during summertime. Rooftop bars and hotel pool areas are natural “hotspots” on sunny days. But patrons’ willingness to partake in daytime drinking shouldn’t be ignored, even if your store lacks a rooftop, pool or courtyard area. A weekend brunch bash or an early happy hour on weekdays can be just as profitable. Expect more and more bars to begin taking advantage of customers’ gameness for early revelry. Larger Nightclubs. Expect to see larger—20,000+ square-foot—venues opening up in major cities. Also expect some of these new mega clubs to be segmented into distinct areas within. Instead of roped off VIP areas, you’ll begin to see entirely separate enclaves, or mini-clubs, within the larger store. Multi-use spaces. 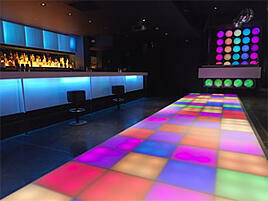 Hand in hand with the (re-)emergence of larger nightclubs is the trend toward multi-use venues. Instead of putting all their eggs in one basket, drinking establishments will increasingly employ versatile-design elements (such as colored glass walls that can be turned into projection TV’s) to start to cater to different clienteles. Expect to see multi-use spaces that can be turned into dance clubs, live-music venues and sports bars. Cocktail trucks. Where not prohibited by law, expect to see cocktail trucks peddling alcoholic concoctions. You may have noticed food trucks on street corners of major U.S. cities. Often run by talented chefs and would-be restaurateurs (who may lack the requisite capital to establish a more permanent store), these trucks offer a various, often high-quality, fare. This trend is now being extended to potables. In San Francisco, BrewTrucs can be seen roving the streets hawking coctails and beer to thirsty pedestrians. Moreover, cocktail trucks have become a tool for liquor manufacturers nation-wide to build brand recognition. While legal issues will limit the growth of these bars on wheels, you may well see more and more of these trucks at parties and campus events. Champagne wastage. Many mixed drinks require champagne or sparkling white wine as an ingredient. Opening a fresh bottle for one drink can be wasteful. Consider purchasing a champagne bottle resealer for your bar, and make sure your bar staff knows how to use it. Keep champagne fresh. If you have a steady flow of champagne drinks in your bar, just drop the handle of a metal spoon into the top of the champagne bottle and put it back in the fridge. This will keep the sparkle in your champagne for up to 12 hours. Is fresh-squeezed orange and lemon juice a selling feature of your cocktail menu? If so, you should know that you'll get a lot more juice from lemons and oranges if you soak them in warm water for a while before juicing them. Stir, don't shake. When a mixed drink consists of clear liquids and/or carbonated beverages, stir it - don't shake it. You don't want your clear liquids to bruise, nor your bubbles to go flat, and shaking the concoction guarantees both will happen. "Difficult ingredients." Mixed drinks containing juices, sugar, eggs, cream, milk, or any other difficult-to-mix ingredient should be shaken - and shaken like crazy. Don't just give the contents a three-second rock around the mixer; give 'em heck! Adding eggs. When you shake a drink that requires an egg, add an ice cube to the shaker. This will help break up the egg and allow it to blend into the drink more easily. Prevent dripping. When serving wine or champagne from the bottle, a clean piece of wax paper rubbed along the rim of the bottle will prevent any dripping when you pour. The difference between a good and great martini is very small, but very important. The quality of your cocktail menu should be of paramount importance to you. The methods by which those cocktails are prepared should be a point of pride for all concerned. Presentation. The color and presentation of any exotic mixed drink is key, and by adjusting the amounts of key ingredients, the bartender can not only change the color of a drink, but can also adapt it to suit any taste. Impress the customers by asking how they like their drinks mixed. Would he like it sweet? Does she like it dry? Maybe a little easy on a key ingredient? Often they'll have no preference, but in asking you'll impress the finicky customer. The process of drink creation can be as important as the drink itself. A little showmanship in the preparation of a drink may slow the process down a touch. Also, if the performance is good and the bartender shows personality, your customers might not mind a little longer wait. Garnishes. Maraschino cherries, olives, a sprig of mint, a stick of celery, banana, lemon, lime, all carefully prepared, an investment in fridge space, and a bartender who is quick with a paring knife - they can all set your mixed drinks off with a sparkle. The right garnish is as important as the right ingredients. Novelty glassware. Most bars consider glassware as merely a vessel in which to serve drinks, but the clever operators see that using exotic and novelty glassware and building the cost of the glass into the drink price can bring customers flocking to that drink in order to get the free glass.